It has been a long long time since I have used Bioré® Deep Cleansing Pore nose strips and it happened that I came across them on offer in Superdrug whilst distracted by the Essie stand that I decided to buy them. Inside the box, as you can see, there are 6 individually wrapped nose-strips (I am sure you used to get 12) and the foil packaging itself contains all the information on it you need to know about using them and it has a handy arrow pointing to a top section where you can open the packet. 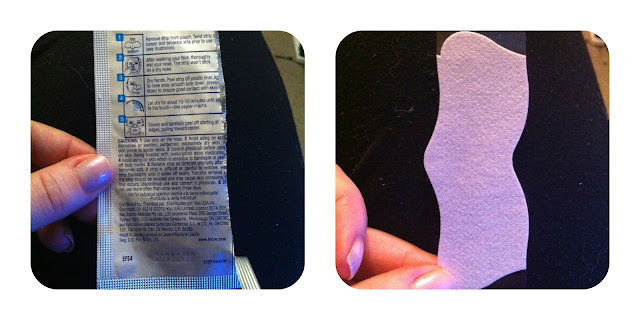 Once out of the packet, the nose strip is neatly stuck to a piece of plastic and as you can see it is designed to fit over the bridge of your nose and to the sides of your nostrils, the places where perhaps you have the most problem. I used this strip exactly as I was instructed to do. I cleansed and cleaned my face to remove my day’s make-up along with other dirt and grime which might have been clinging to my face, patted my skin dry and then wet my nose to apply the strip. One thing to make note is that please do ensure that the strip is completely in contact with skin and not hanging off anywhere or is loose, as you apply the strip, I found it clung to my skin with minimal effort. Once on the skin you can tell there is tea tree and witch hazel used as ingredients because you can smell them, thankfully they are no too over-powering as you have to sit and wait for about 10-15 minutes for the strip to dry, I myself am not the biggest fan of either fragrance, but it was bearable. After your allotted time, when it comes to peeling off the strip, it is pretty straightforward though it does feel a little odd because you can feel it pulling off your skin, I assume it is pulling out blackheads and other bits of gunk as you rip. Once off the nose, as you can see there is the evidence for all to see, little pockets of blackheads and other bits of dirt, quite gross really! I have to admit, there is also something satisfying about ripping these off your face (yes I am a ghoul). 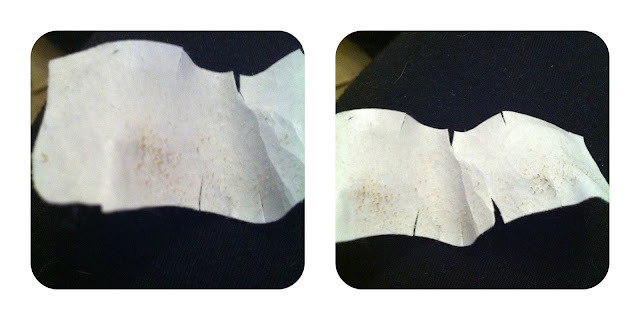 Once I have removed the strip and binned it, I always wash my face again and then ensure that my face is properly moisturised because in the past I have found similar strips to be quite drying on the skin. 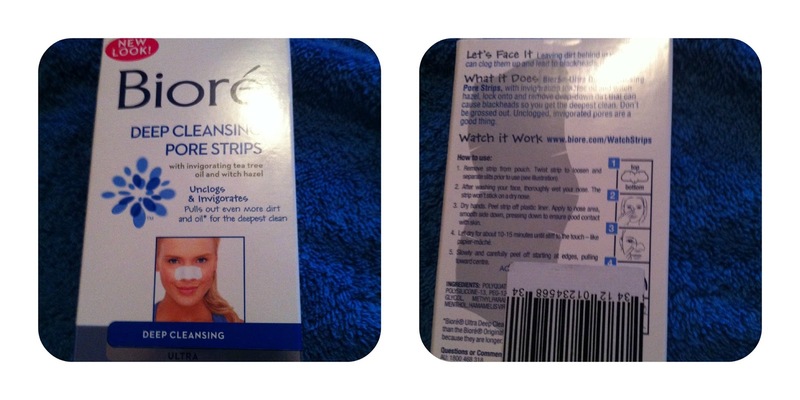 Overall though, these strips clearly do work and they do leave my skin looking much clearer. For more information on Bioré® Nose Strips, you can find it HERE along with further information on other products from the Bioré® range. Over 28.8 billion pores have been unclogged by pore strips sold to-date! Pores are about as deep as the ridges on our fingerprints — about a hundredth of an inch. Blackheads are full of bacteria. So fingernails and squeezing can actually tear your skin and spread bacteria, but using Bioré® Pore Strips helps get rid of dirt and oil that can cause blackheads without tearing your skin OR spreading bacteria. I can't explain why, but I find peeling off the strip so satisfying....! I've never tried a pore strip. I've always been scared they'd stick there and never peel off, or worse, peel off in little bits.